Located at the corner of Cloverfield Blvd and Olympic Blvd, Extra Space Storage serves Santa Monica residents near Pico, Sawtelle, Mid-City, Ocean Park, and Mar Vista. Locals will recognize our facility across from Cornerstone OnDemand corporate campus a few minutes southwest of Bergamot Station. Do you need a storage unit or secure vehicle storage close to the airport? Extra Space Storage is about 1.5 miles from Santa Monica Airport, so we're a convenient option for Santa Monica residents and visitors. Extra Space Storage on Cloverfield Blvd offers a wide range of storage units, vehicle storage, and exceptional security, making us the convenient storage solution for you in Santa Monica near Pico! With everything from small 2x3 storage lockers to large 14x30 drive-up units, Extra Space Storage can easily accommodate your residential or commercial storage needs! At Extra Space Storage, your safety is our top priority. That's why our Santa Monica storage facility has an on-site manager, 24-hour video surveillance, individually-alarmed units, and electronic gate access. Looking for indoor and outdoor vehicle storage options in Santa Monica? Extra Space Storage has 8x15 to 8x20 outdoor parking spaces and 13x30 to 14x30 enclosed drive-up units that are perfect for cars, motorcycles, boats, and RVs. Extra Space Storage is the storage partner you can trust. From our clean, well-maintained, secure facility to our friendly, professional staff, we go the extra mile to ensure your needs are met and that you have a great storage experience. 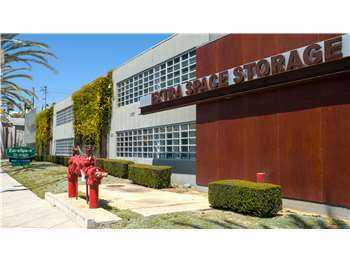 Contact us today to reserve a storage unit in Santa Monica! I needed to change my storage facility. First started with an online chat to get just the right size space, the price was right and everything simply fell into place after that. Highly recommend this company. I like this storage because they don't have a cheap move in goes ridiculously high later. What you pay when you move in is what it will always cost. Also they have better than average hours to access the building and don't make you leave your license to use a cart. I have been to two other storage facilities in Los Angeles and ExtraSpace by far has been the BEST. Terri the manager for the Santa Monica location is amazing and approachable. The price and access hours is amazing as a small business in event planning these were key factors for me. Also, the facility is always kept clean and has ample parking which I always appreciate. This is the most clean efficient well-maintained storage I’ve used. Staff was very helpful. The Facility is extremely clean and well run in a location that is convenient for me. Terri is the best! She took care of my needs with attention. Great Santa Monica location. Friendly and professional staff. Premium features and very attentive to my specific needs. I have reoccurring short term storage needs, I have used this location multiple times. Mario was excellent and provided the best customer service. He made my day so much better and helped me reduce my stress during my hectic move. The facilities are very clean and it was very easy for me to move my belongings into the storage unit thanks to the trolley carts. Clean, Safe, and Secure are just the baseline of this property. This facility isn't the cheapest, but it provides an environment and premium services that are well worth it. The managers are informative, friendly, and helpful. We use this space for our business storage and occasionally have product sent to the storage unit. They offer a receiving service that is awesome and so helpful for us. Excellent customer service and very clean facilities. The store on Cloverfield is well run and clean and orderly. Jessica and her team do a great job and always make you feel welcome.They are willing to work with you non solving a problem. Exceptional customer service, very professional, thorough with instructions and overview of layout and access into unit. Clean Safe and Reliable Storage Units with easy access. Extremely helpful! I wanted to downsize my unit since we no longer needed our current size. Jessica was very helpful in showing us options, and guiding us to a unit that would accomplish our space needs. She was very professional throughout the entire process. Location is great. Easy access and great hours. Terry and team are wonderful! She has wonderful customer service and hospitality. Very clean. I had no problems. Paul was great in making sure my storage needs were met and explained everything well. Wonderful customer service! I had to make a last minute move from San Francisco to Los Angeles for a new job. The entire process leading up was pretty chaotic, and I was overwhelmed with lots to do in a short time span. I was nervous about being able to find a storage unit in a good location that felt secure and clean. But ExtraSpace in Santa Monica made the reservation process so easy, even when I had to change my arrival date and time three times. This was one part of my relocation I can say was not a huge pain and actually easy. The gentleman that helped was great! not only did he show me the storage unit but helped me upgrade to a bigger one base on what I told him I would bring. Quite honestly, I was under a lot of stress and to know that within 24 hours you need to move it was a huge help having them respond right away after I reserved online. The facility on cloverfield is amazing. I would definitely recommend this to any one. My wife and I needed a storage unit to store some of our furniture,. 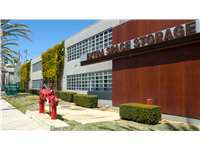 We looked into some storages around our area (Venice/Santa Monica) . We were definitely *not* looking forward to paying the prices of having a westside based storage, nor having a unit in a sketchy area. We found Extra Space Storage and got a great deal online and have found the two front desk managers (Jessica & Amaya) to be ALWAYS with helpful attitudes and very professional...it's REFRESHING to be greeted by people who are consummate professionals! It makes a difference for deciding to keep your business somewhere or not. The place is clean, bright, and easily accessible (you drive right up to the main access for all the units.). It's safe. It's not right on a pedestrian street like some other storage places around. Amaya is truly a pleasure to work with. He is so helpful. Every time I am there he comes out and asks if I need anything. This facility is brightly lit, easy to get in and out and very clean. Thanks! The Extra Space Storage facility I used in Santa Monica was exactly what I needed and the facility was well maintained, you can tell management cares. Above all else though, the people that work at that facility are very nice, very easy to work with and very accommodating. I would recommend this facility to anyone. When I come to pay my bill they are always so nice.When I want to change storage rooms they always help me get the right room. That is why I love coming to my storage. I was searching for the right storage facility for a month and after visiting several other places, extra space was the cleanest with the best customer service. Great prices! The only downfall is that the construction outside has made the location challenging to get to. I would highly recommend Extra Space Storage because of the great location and facility! This is a terrific choice for a storage space rental. The building is clean, well lit, and well maintained. The management is professional and available. The parking lot is secured by an entrance and an exit gate that require your code. Two large loading doors make it easy to unload items. Plenty of wheeled carts are available to load items onto, and they are never locked up. There is plenty of parking, it's never crowded, the elevator always works, and the bathrooms are well kept. Clean, easy access, secure. Tyrone and Amaya are always courteous. After a little trouble getting anyone on the phone over a couple random times calling, I was immediately set at ease once I walked in to set up my unit and account. Not only was that quick and painless, but also kind of fun (maybe I'm a geek). Anyway, I moved in that night and carts provided very close to the door made it a snap. I'm glad I went with the unit that was suggested by the manager, as I may have had an issue with my stuff and my original unit size needs. I've been out of town since that day, and I am so secure knowing that my stuff is not only safe but will be easily retrieved upon my return. Thanks ExtraSpace!! It was a good place near me to store all of my stuff, making it convenient to move my belongings to and from. However, the check-out process was not as convenient, with the billing period being the middle of the month instead of the end. I had to pay for an extra month when I had already moved out. This is a very convenient location. The staff was nice and helpful. Thank you! I went to the Santa Monica branch and I was greeted warmely by Ricky, the Facility Manager. I wanted to inquire in regard to availability, pricing and the process to acquire a unit. He was very patient and thorough in explaining the entire process including the lease agreement. I will be needing the service in January 2012. I will definitely return to this facility. We've had reason to check out -- and use -- various storage facilities in the last few years, and Extra Space is the best, by far! The people behind the counter are consistently friendly and helpful, and the site is very well-maintained. Many other storage places feel dank and creepy -- not the kind of place a woman would want to go into alone -- but Extra Space is light and airy, and feels very secure and comfortable. We've already recommended it to a few friends! Tyrone had excellent customer service. Always in good spirits. Friendly and always helpful. He cleaned the bathrooms in excellent condition. I did my homework and checked all the places on the area. Extra Space was the closest to the freways and the most convinient. The place is very clean and feels cool inside,( it was 2pm when i visited the place) ample parking and big access doors are a plus. They helped me to pick the one i needed and did not pressure me to get one bigger than my needs. Security Cameras and very Quiet. I booked online and received a call less than 24 hours to confirm my reversation. When I came in, everything was explained to be. The space was the perfect size for my needs and the introductory rate was great. Would highly recommend. same as above. this place is great. i looked around and there was not another place that had the same amenities, service or cleanliness. I recently had to change from a smaller unit to a larger one - Ricky was accommodating, helpful and provided service with a smile. He made sure we were paying the lowest possible price for the larger unit and provided thorough answers to all of my questions. I would recommend ExtraSpace 100%. This Extra Space Storage location is top notch. Great staff and facility! Customer Service has always been friendly and fair. The over all feel is very safe and very clean. My ONLY complaint is that Corporate keeps raising prices. I almost feel like Im being punished for maintaining storages spaces for a long period of time .. I think a better way would be to drop prices for some one who has been a long standing customer. This would be a great incentive. Proceed south on Cloverfield Blvd across Olympic Blvd. under the Expo Line overpass and Extra Space Storage will be on the left. Continue to proceed to Michigan Ave and once on Michigan Ave, make a u-turn. Continue back to Cloverfield and turn right. Continue northbound on Cloverfield past Bergamot Station and make a right into the driveway. Proceed up the driveway to the office. Take Lincoln Blvd north to Pico Blvd and turn right. Continue past Santa Monica City College and KCRW on the right. Continue east on Pico Blvd and the Pico Branch of the Santa Monica Library will be on the left. Turn Left on Cloverfield Boulevard. Proceed north on Cloverfield over the 10 Frwy and past 26th Street. Continue on Cloverfield past Bergamot Station and the City Garage Theatre and Extra Space Storage is on the right before the Expo Line overpass. Turn right in the driveway and proceed to the office. From 10 West, take the Cloverfield Exit and then turn right at the light. Proceed North past Michigan Ave and Bergamot Station. Proceed past 26th Street and Extra Space Storage is on the Right ahead of the Expo Line overpass. Make a right into the driveway and proceed to the office. Take the 10 Fwy east and take the 20th Street exit and turn left. The next light will be for Olympic Blvd, turn right at Crossroads School for Art and Sciences. Proceed east on Olympic. Make a right turn onto 21st street and it will put you onto Michigan Ave. Make a left turn onto Cloverfield Blvd, past Bergamot Station and the facility will be on the right side.